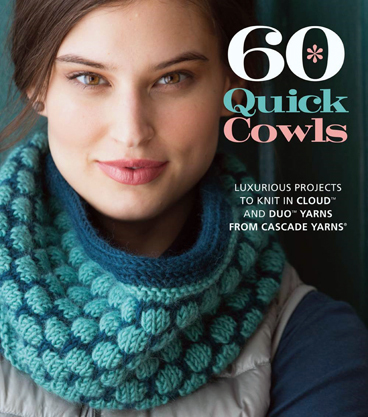 60 Quick Cowls is the latest edition in the 60 Quick Books series. 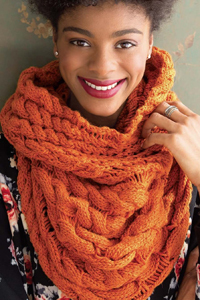 Cozy up to cowls with this inventive collection of 60 knitted cowl patterns featuring Cascade Yarns® luxurious, merino/alpaca-blend Cloud, Eco Duo, Highland Duo, Color Duo and Eco Highland Duo yarns. 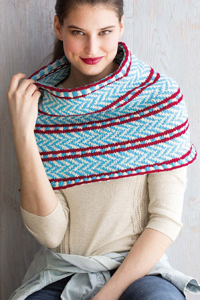 Projects range from classic styles to more innovative designs for knitters of all skill levels looking for practical-yet-on-trend pieces. 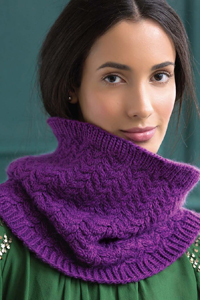 And with all projects knitted in a worsted weight, these cowls are truly quick knits that will make great gifts or go-to projects for any knitter looking for a fast and satisfying project. 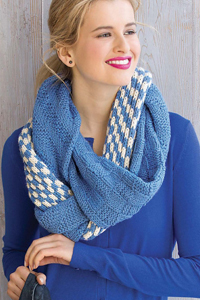 Cascade Yarns® Cloud and Duo yarns are the perfect choice for a classic but modern style pattern. They make wonderful gifts and are quick to knit. These yarns are the perfect blend of 70% merino wool and 30% baby alpaca. The book contains an assortment of skill levels for a wide range of knitters. 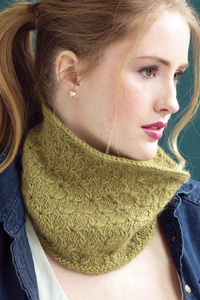 Enjoy Cascade Yarns® Cloud, Eco Duo, Color Duo, Highland Duo and Eco Highland Duo. 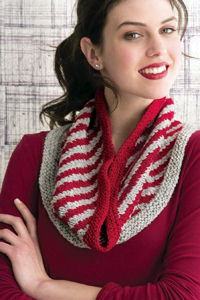 The perfect choice for a classic, chic cowl!